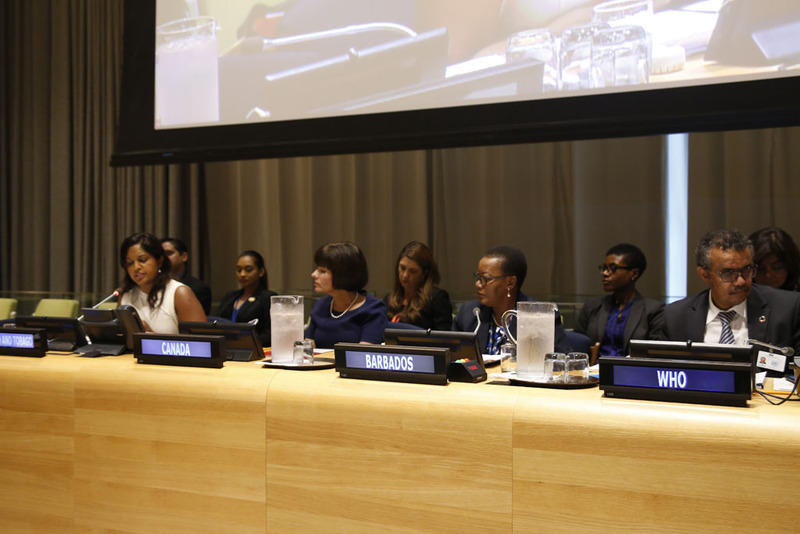 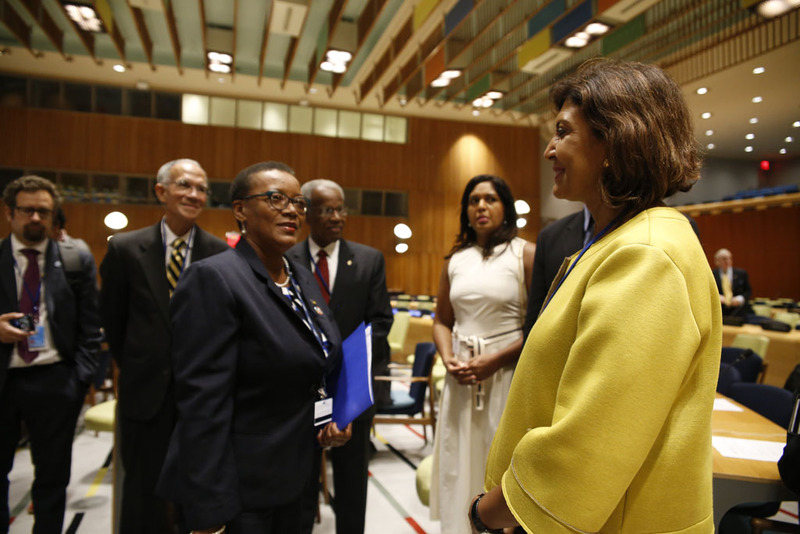 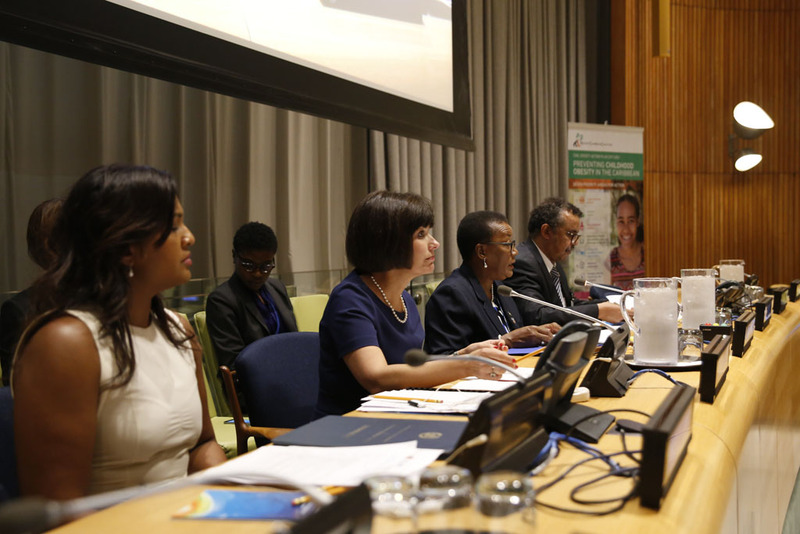 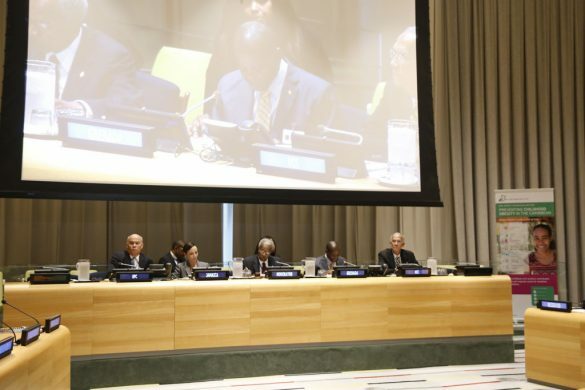 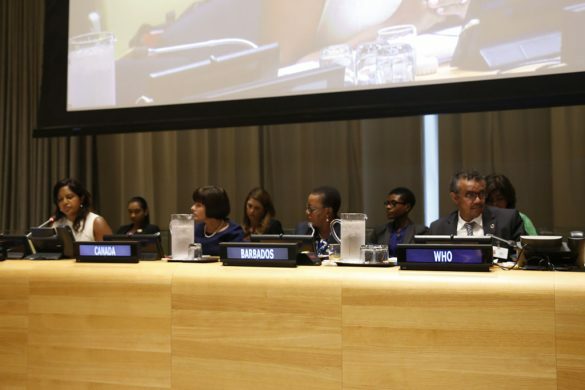 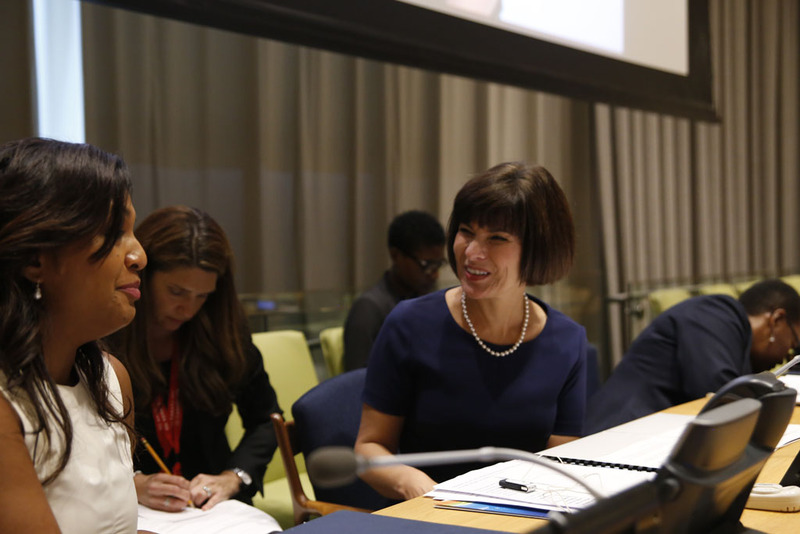 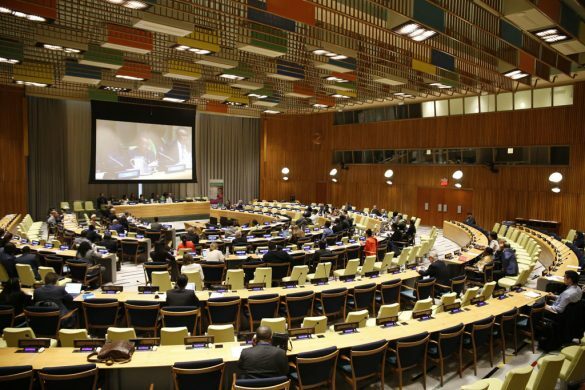 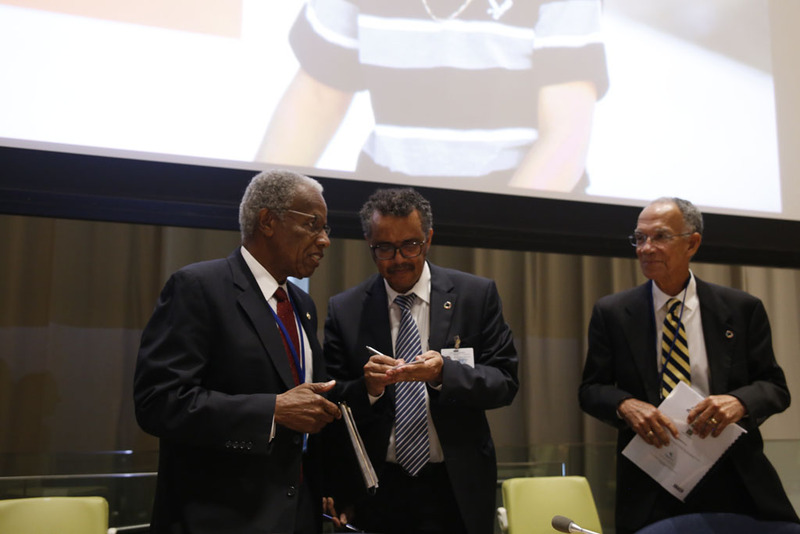 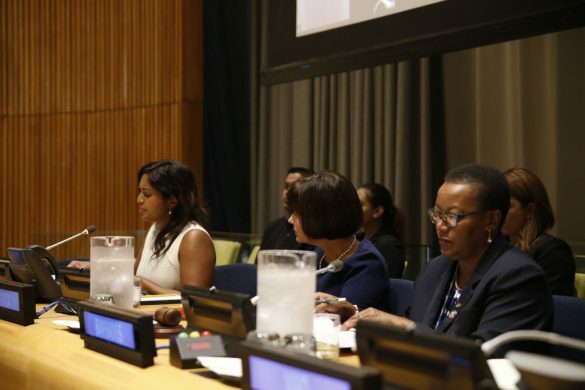 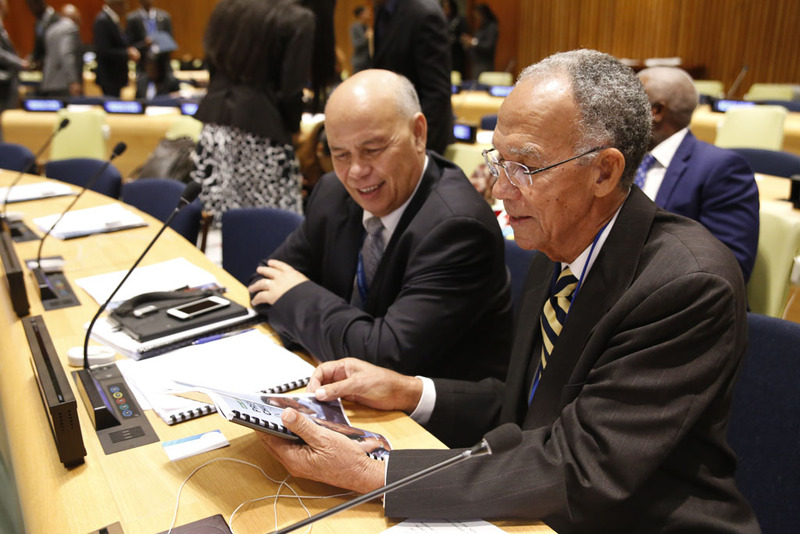 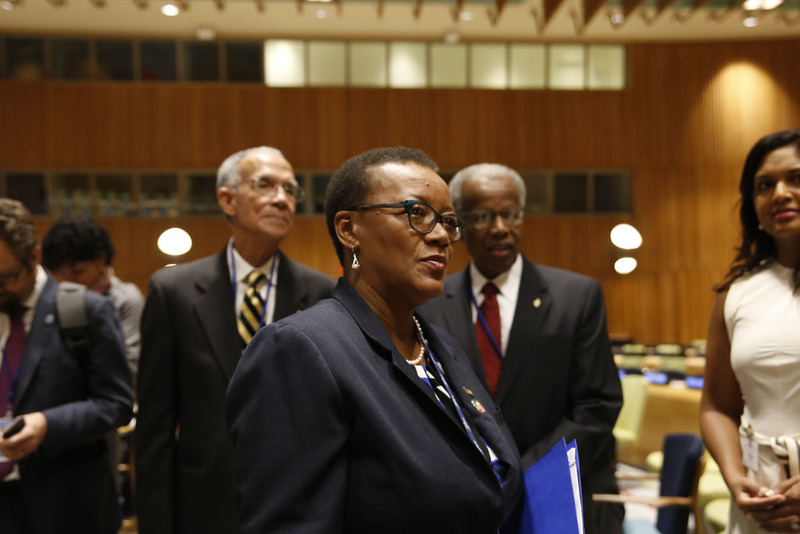 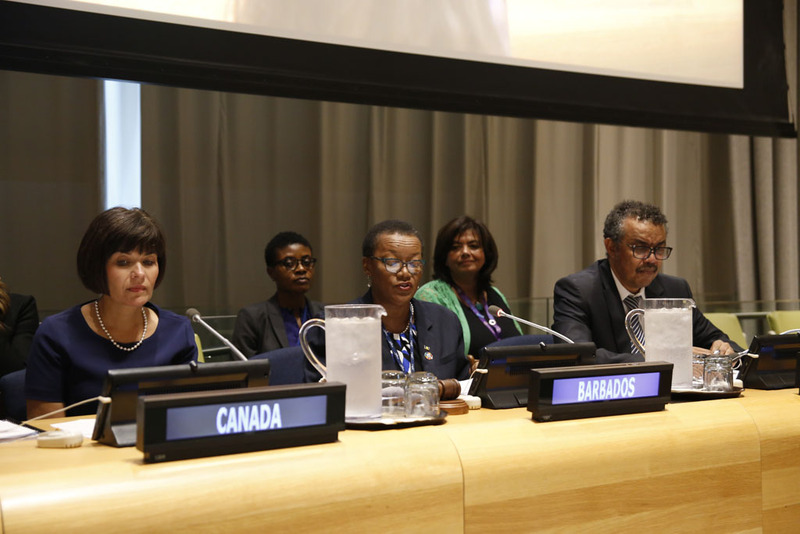 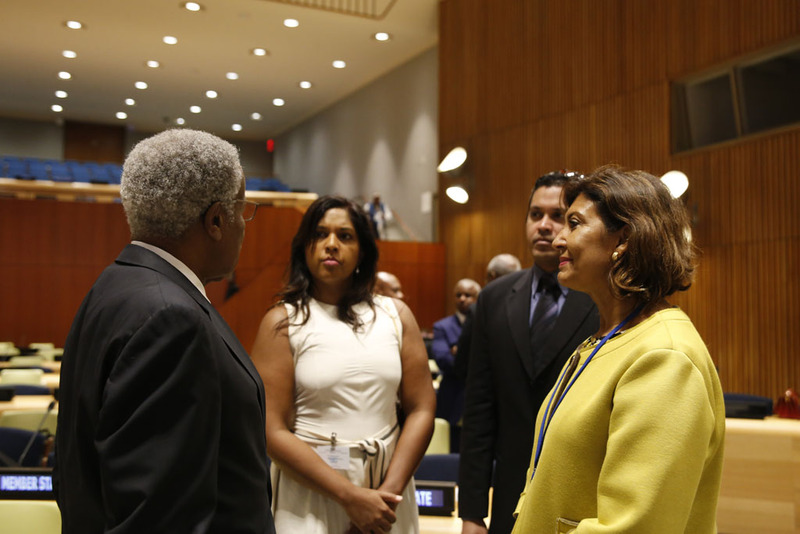 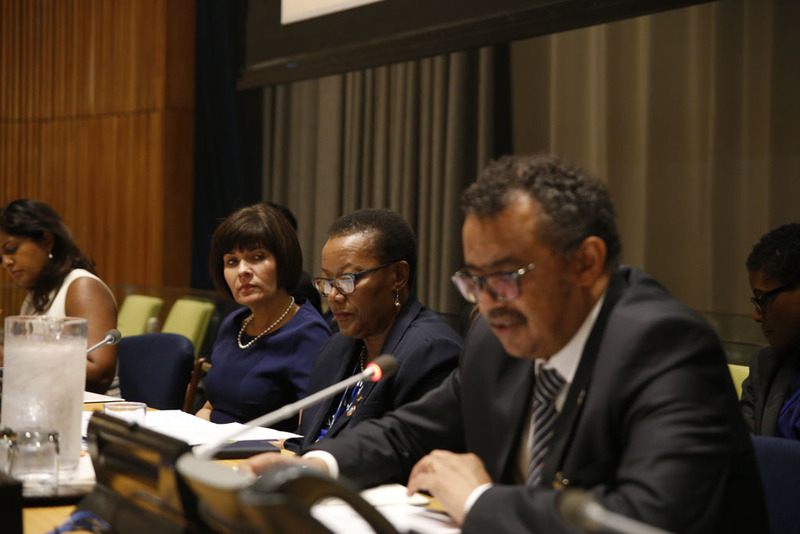 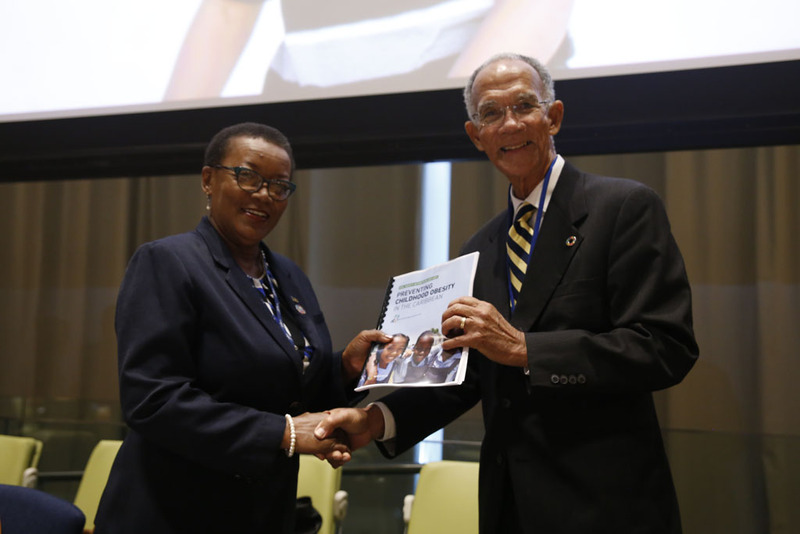 On Friday September 22nd, 2017 at the 72nd UNGA in the Trusteeship Council Chamber, the Permanent Missions of Barbados, Jamaica and Canada to the UN, the Caribbean Community (CARICOM), the Pacific Island States, the World Health Organization (WHO) and the Healthy Caribbean Coalition (HCC), hosted a high-level side event: Childhood Obesity – a Development Time-bomb: Learning from SIDS to accelerate multi-sectoral action in support of the 2025 NCD Targets and the SDGs. Taking Stock: To understand the initiatives in CARICOM countries and SIDS to reduce childhood obesity. 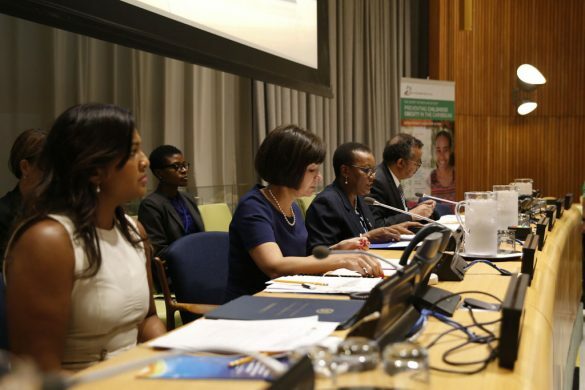 Multisectoral scalability: To discuss the key roles and competencies of different sectors to achieving positive outcomes; and share experiences, success factors, lessons learned, and their wider applicability, of multi-stakeholder action to reduce childhood obesity in SIDS. 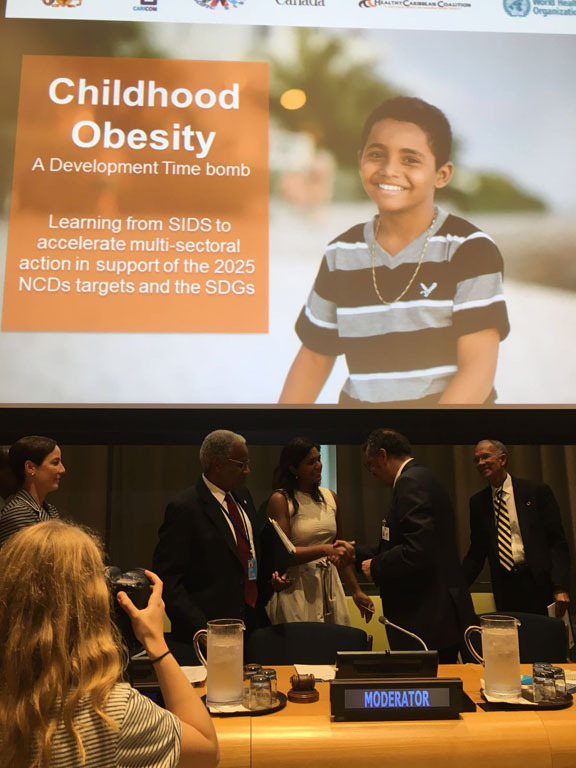 Cooperation and Collaboration: To consider and share avenues for supporting SIDS in their actions to reduce childhood obesity and the burden of NCDs in their highly at risk countries. 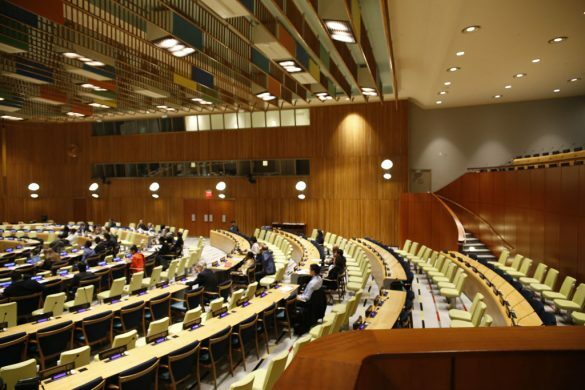 Call for Action: To consider strategies to galvanise political will and accelearate political action in lead up to the 2018 HLM and in support of reducing childhood obesity throught the achievement of the 2025 NCD targets and the SDGs. 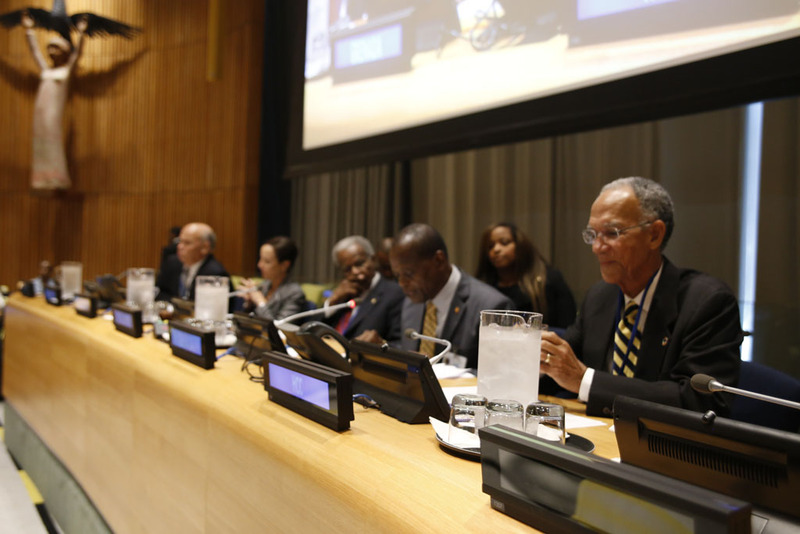 The side event was moderated by Senator the Hon. 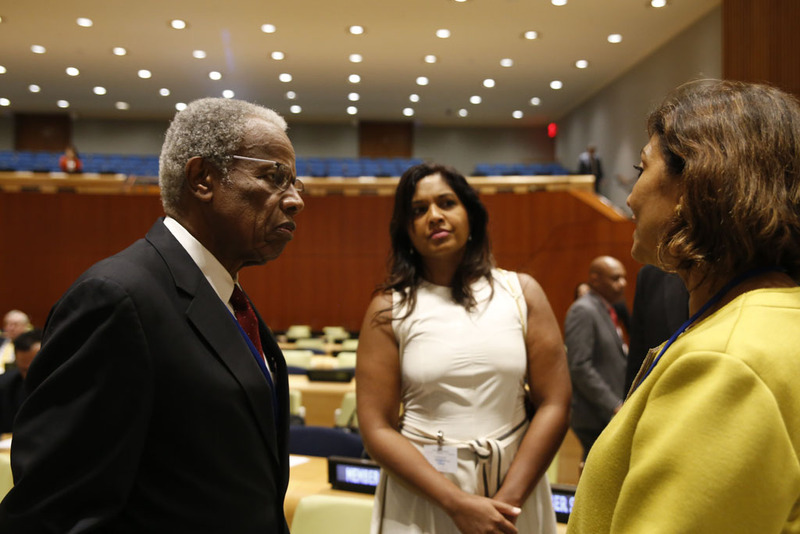 Maxine McClean, Minister of Foreign Affairs and Trade, Barbados and chaired by Sir George Alleyne. 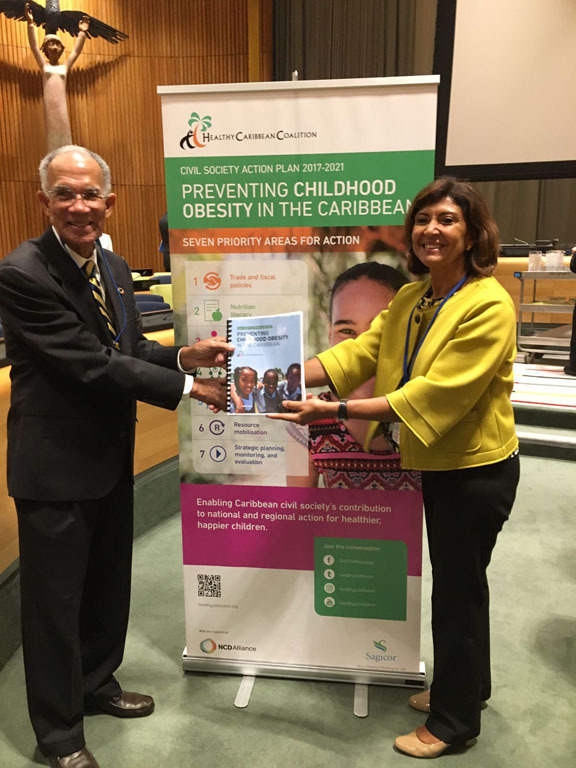 The HCC also took the opportunity to share their Civil Society Action Plan 2017-2021 for Preventing Childhood Obesity in the Caribbean. 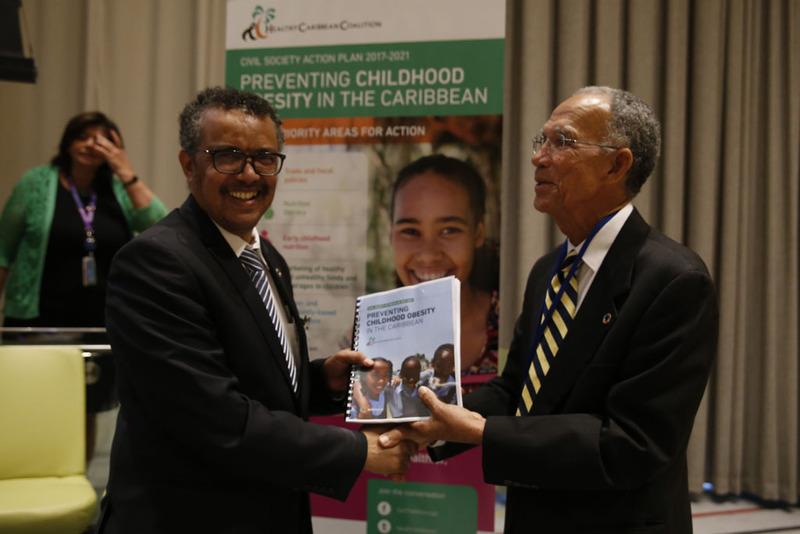 The Plan will be officially launched on World Obesity Day, October 11, 2017. 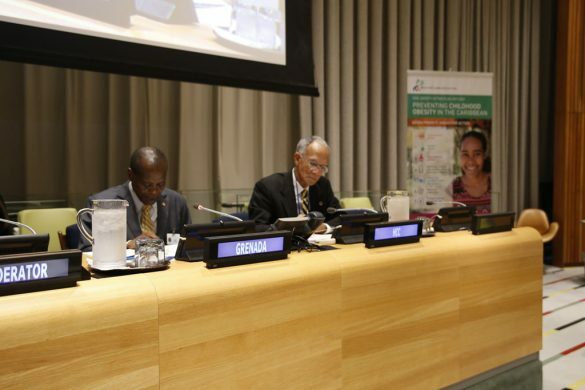 The event was well attended by colleagues from CARICOM Missions, the NCD Alliance and the Deputy Director General of the FAO – to name a few. 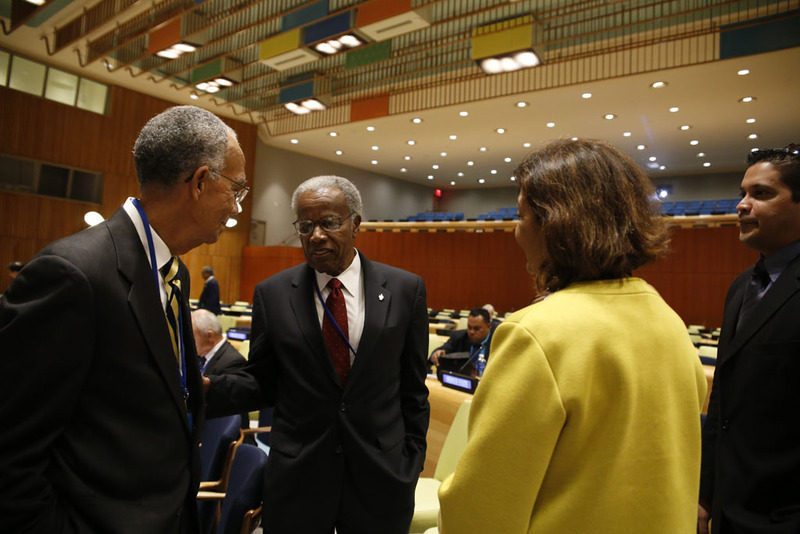 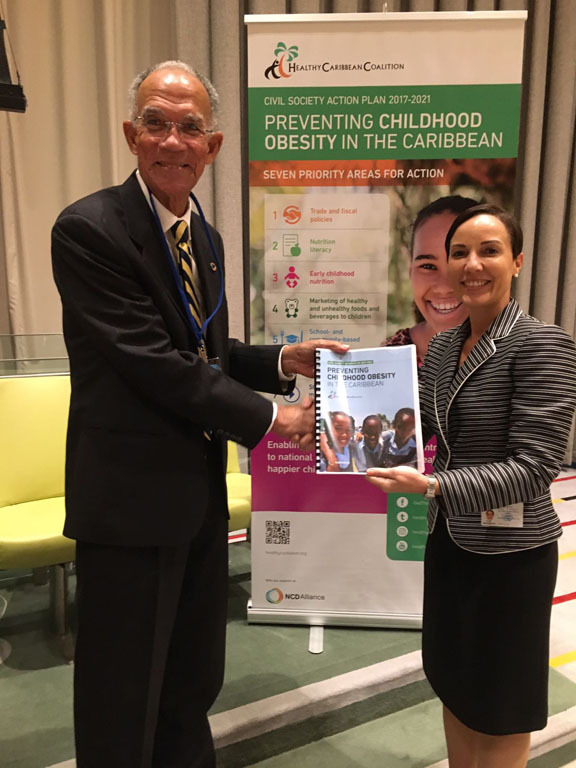 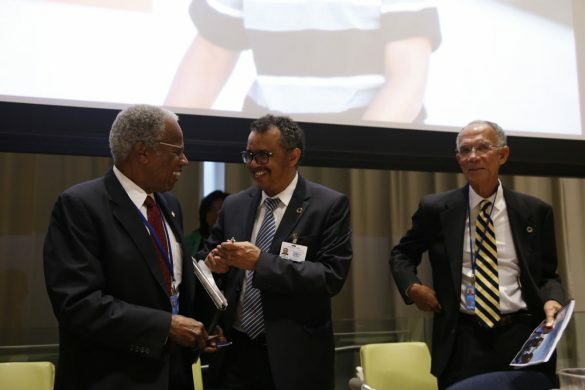 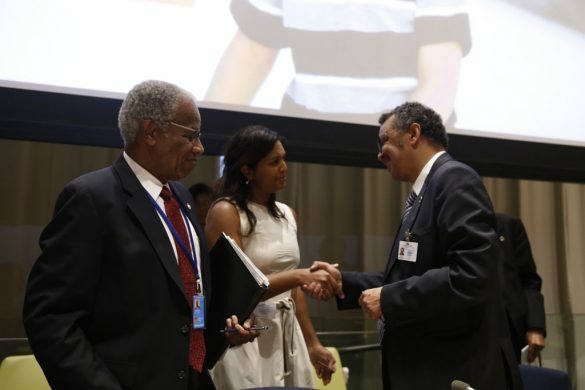 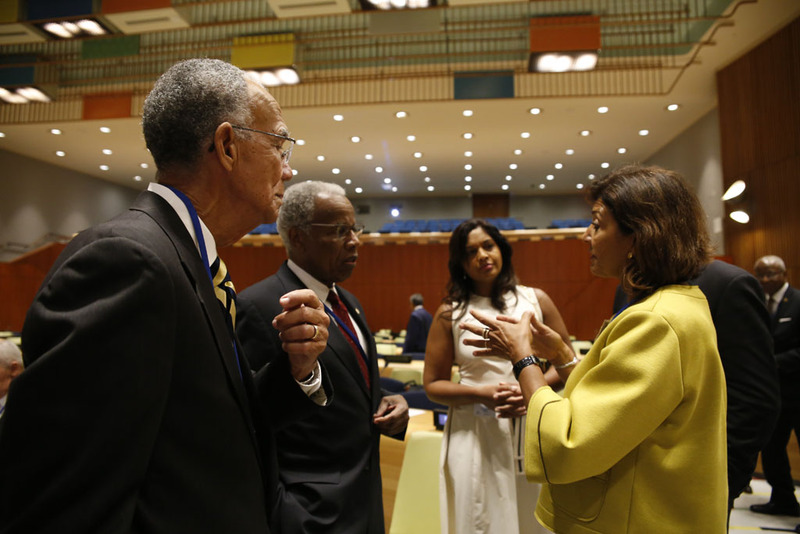 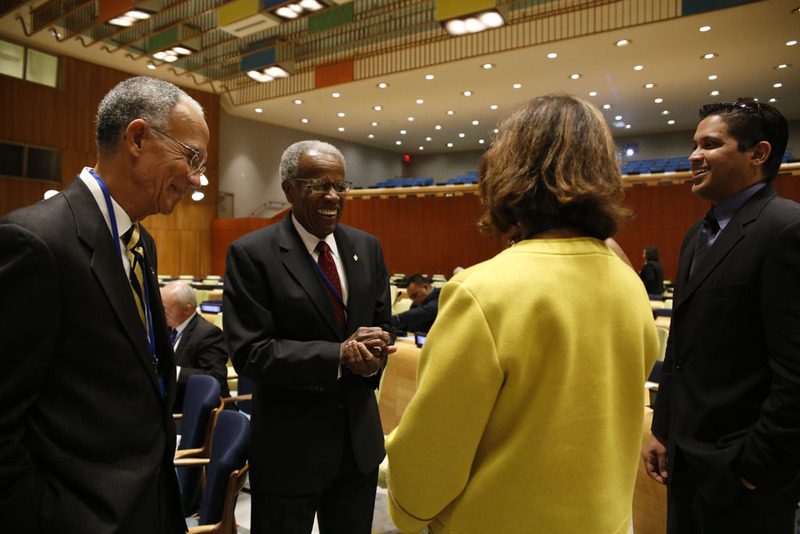 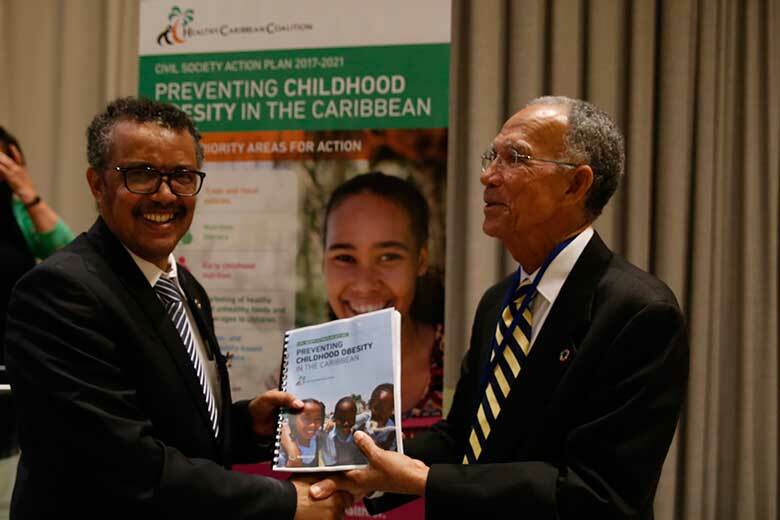 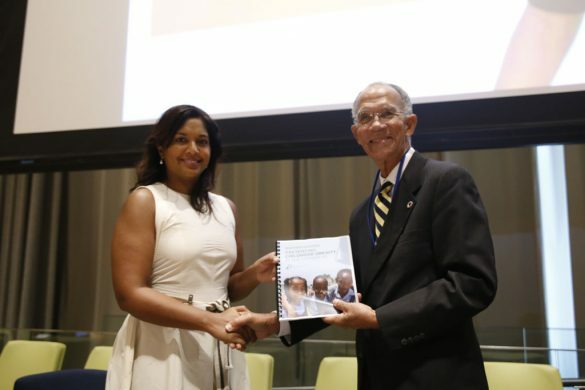 Make the Caribbean an “engine for change” on childhood obesity – Professor Sir Trevor Hassell speaking to Agnese Pastorino on United Nations Radio. 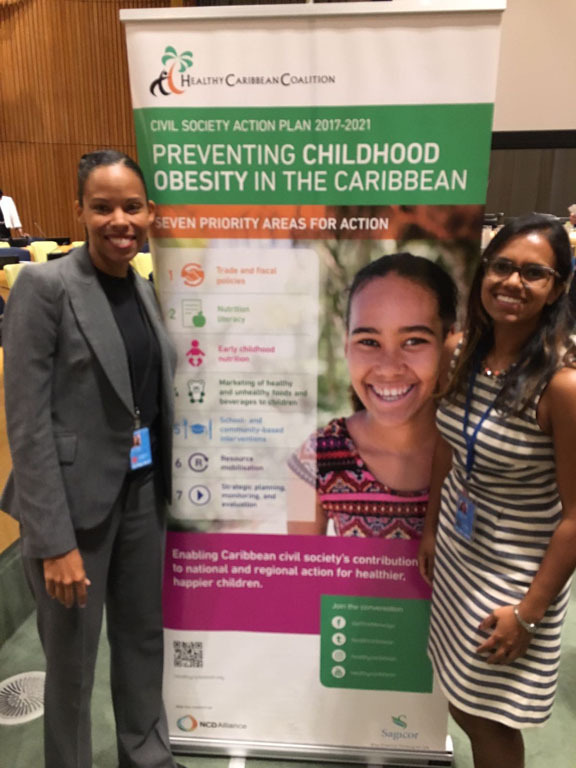 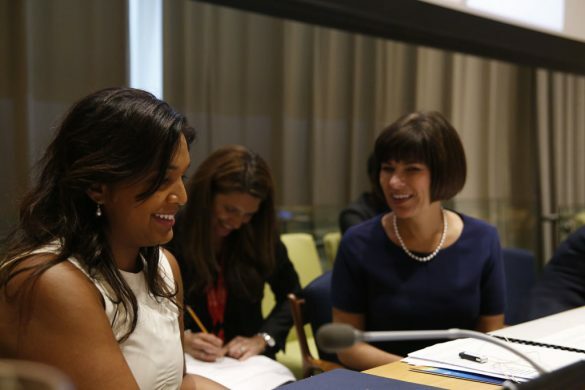 The Caribbean has one of the highest rates of childhood obesity in the world, and the coalition has adopted a multi-stakeholder approach designed to galvanize civil society across the region and that the HCC is lobbying for higher taxes for unhealthy food; banning sugary drinks in school; and educational initiatives to foster healthier diets. 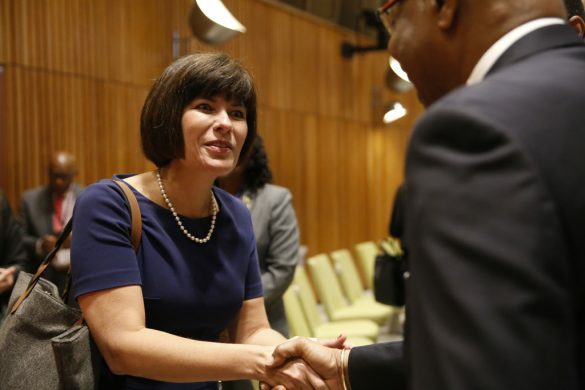 isten to the full interview below. 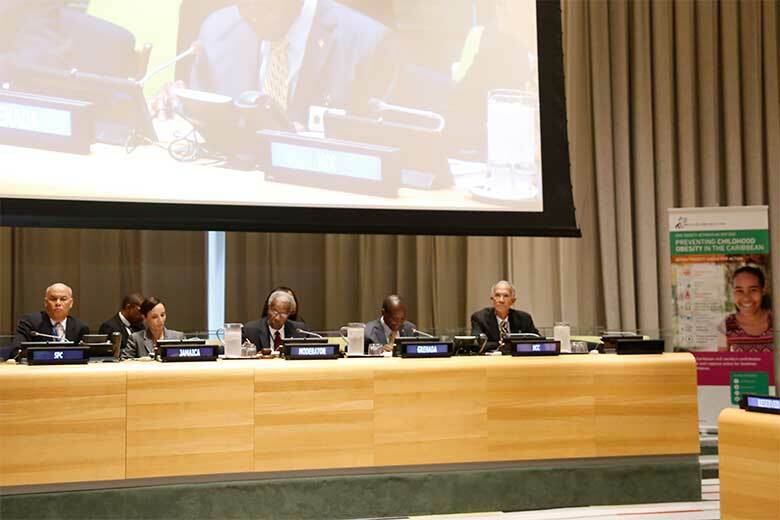 We will post additional remarks as we receive them.